Could we see the One X 5 this week? With new phones like Apple's iPhone 5 and Nokia's Lumia 920 seemingly being unveiled every week, it should come as no surprise HTC may be planning a big reveal (or two) of its own. HTC already has an event scheduled for Sept. 19, though it's anyone's guess as to what the company may be showing off. However, newly discovered press photos may have prematurely revealed at least one of the to-be-announced devices HTC is planning to unveil. Dubbed the One X 5, the new phone could be construed as more of a phablet since it's believed to come with a 5-inch screen. One X to get super-sized? There's little else known about this mystery phone at the moment, including whether or not it will be part of HTC's planned event. It's rumored the One X 5 will use a Snapdragon S4 quad-core processor, and that it may use a full 1080p display, but exact specifications have yet to be discovered. 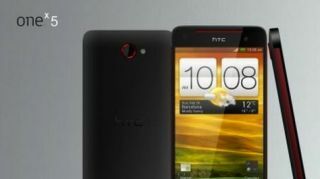 HTC's One X 5 could arrive just in time to compete with Samsung's Galaxy Note 2, or even LG's recently revealed Intuition. Coupled with the purported existence of the HTC One X+, a slightly revamped One X, and what could be the Vertex tablet, HTC appears poised to make a large statement this week. TechRadar will bring all the latest to you from New York City this Wednesday.